Are you frustrated with the lack of growth of your nonprofit? Do you fear your nonprofit will never make the difference you intended it to? Our guest Kathleen Janus shows us how to successfully scale your business to have the most impact. Welcome to episode 245 of the Profit First Podcast! Kathleen Kelly Janus is a social entrepreneur, author and lecturer at Stanford University. As an expert on philanthropy, millennial engagement and scaling early stage organizations. She is the co-founder of Spark, the largest network of millennial donors in the world. 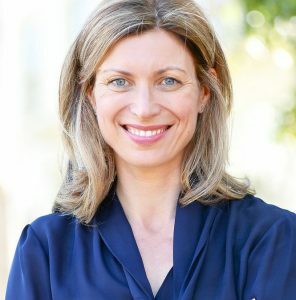 Based in the heart of the Silicon Valley, her forthcoming book, Social Startup Success, features best practices for early stage nonprofit organizations based on a five-year research project interviewing hundreds of top-performing social entrepreneurs.